Works will replace a signalling system that has been in place for more than a century. IRISH RAIL PASSENGERS are facing significant disruptions over the next three weeks as no trains will operate in or out of Limerick’s Colbert Station due to major works. Starting on Monday evening, bus transfers will operate on all train services to and from the station. Passengers of the Limerick to Limerick Junction; Limerick to Ennis; and Limerick to Birdhill routes have been advised of the following changes. Bus transfers will be operation between Limerick and Birdhill with an onward train connection to/from Ballybrophy. There will be a reduced service level to Sixmilebridge during this time. As a revised timetable will operate during the month of June, customers are being advised to check the website at least 24 hours before making any journey. The works will replace the old signalling system, which has been in place for over 100 years, with a new computerised signalling system. The company says the works are complex because Limerick is a terminal. “These works will futureproof Limerick Station’s signalling needs for decades to come and will improve safety and reliability,” company spokesman Barry Kenny said. The station is due to reopen fully on 26 June. 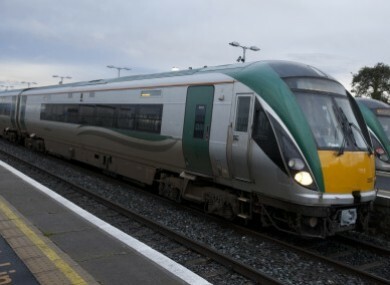 Irish Rail has warned members of the public that all train lines will remain live during the works, with test and maintenance trains operating. There are also extra trains running on several routes this Bank Holiday weekend when over 200,000 people are expected to use Intercity rail services. Email “Major disruptions coming down the tracks for Limerick train users”. Feedback on “Major disruptions coming down the tracks for Limerick train users”.